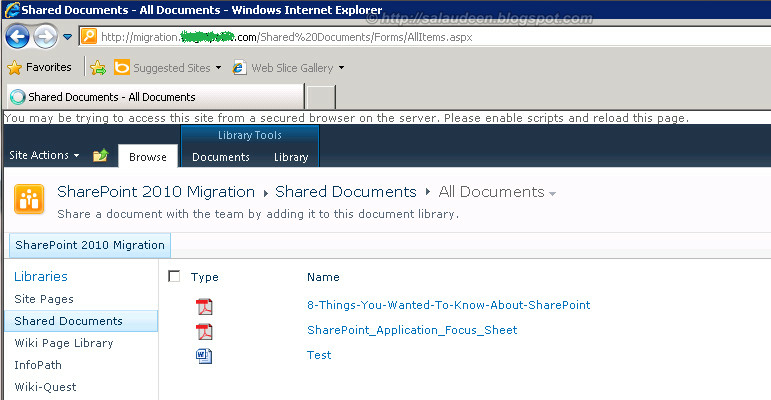 Home Known Issues SharePoint Troubleshooting You may be trying to access this site from a secured browser on the server. Please enable scripts and reload this page. Internet explorer displays the message at top "You may be trying to access this site from a secured browser on the server. Please enable scripts and reload this page."? Fix is: This is because Internet Explorer Enhanced Security Configuration. So simply disable IE ESC to fix this issue. 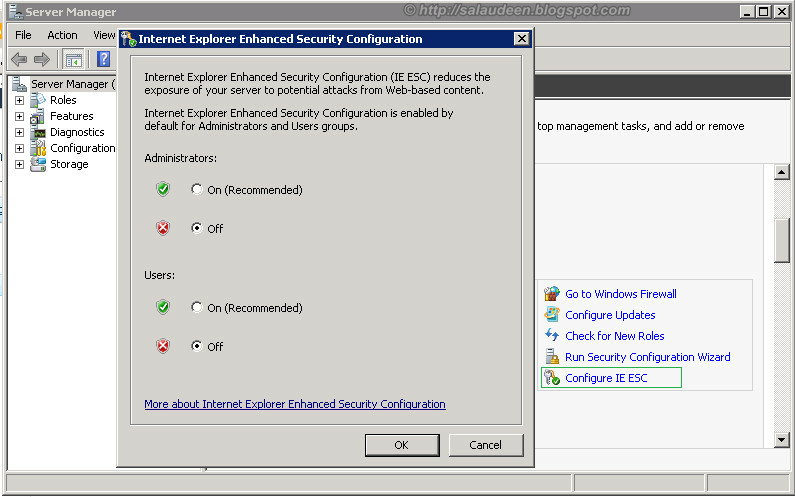 Go to "Start >> Administrative Tools >> Server Manager >> Configure IE ESC >>Select Off for Administrators and click OK. This may happen you you have IE developer tool and disabled scripts! just uncheck "Scripts" under Disable Menu to rectify. Adding site to Trusted Sites zone on Internet Explorer also fixes the problem.